Kampl made 54 appearances for Leverkusen in the Bundesliga. 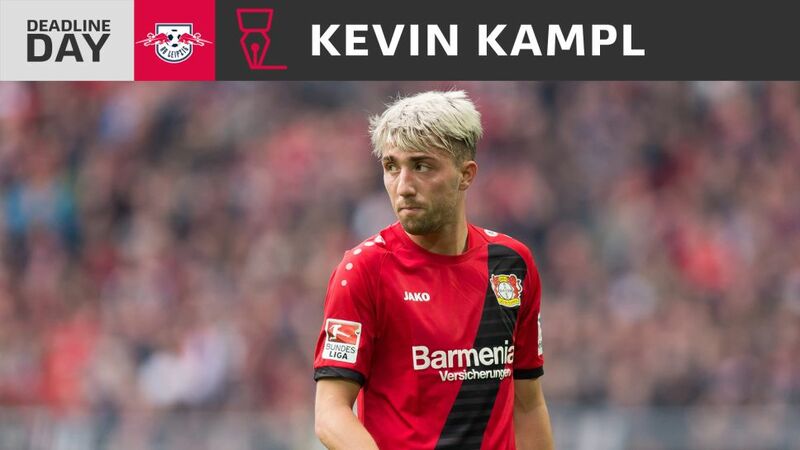 RB Leipzig have strengthened their squad on transfer deadline day by signing Slovenian midfielder Kevin Kampl from fellow Bundesliga side Bayer Leverkusen. Click here for the latest transfers in and out of the Bundesliga! The 26-year-old has signed a four-year contract with the eastern club and has been given the squad number 44, as he had with his former club. Leipzig's new signing will take part in a press conference at 13:30 CEST/11:30GMT alongside coach Ralph Hassenhüttl and sporting director Ralf Rangnick. After breaking into the Leverkusen first-team fold in 2010/11, Kampl embarked on something of a nomadic path in the following years, representing Fürth, Osnabrück and Aalen in Germany’s lower leagues, before starring for an FC Salzburg side that won the Austrian Bundesliga in 2013/14. He had a short-lived spell at Borussia Dortmund between January and August 2015, before returning to Leverkusen, where he went on to make 72 appearances in all competitions, scoring six goals. Kampl, who is currently on international duty preparing for 2018 FIFA World Cup qualifiers against Slovakia and Lithuania, could make his Bundesliga debut for Leipzig away at Hamburg on 8 September. Click here for more Leipzig news and features!